When it comes to bags, I‘m more a minimalist. A clean design and shape speaks for itself. 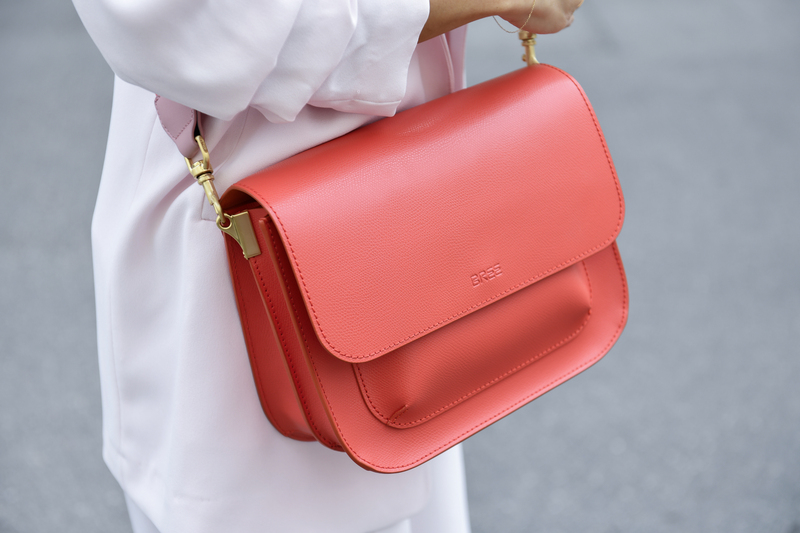 The BREE CAMBRIDGE bag in Masai Red was the perfect addition to my spring wardrobe. And believe me the color is just oh-so-pretty in real life. An orangy red shade with a hint of pink. Oh yes please! The best part of the bag is the changeable bag strap called triangle zephyr. And you have plenty of options to choose from. I have always loved bold solid colors, especially in red. You know my love for red shoes. And the red blazer I‘m currently wearing 24/7. Only a red bag was missing in this collection. You can‘t imagine how delighted I was when I received the BREE Cambridge bag. I love the simple yet very chic shape of the bag, which is spacious enough to fit a large purse and other stuff. The matte gold hardware on the bag strap is also a great plus, which gives the bag an elegant finish. I’m a huge suit lover and have always been wearing blazers and matching pants. 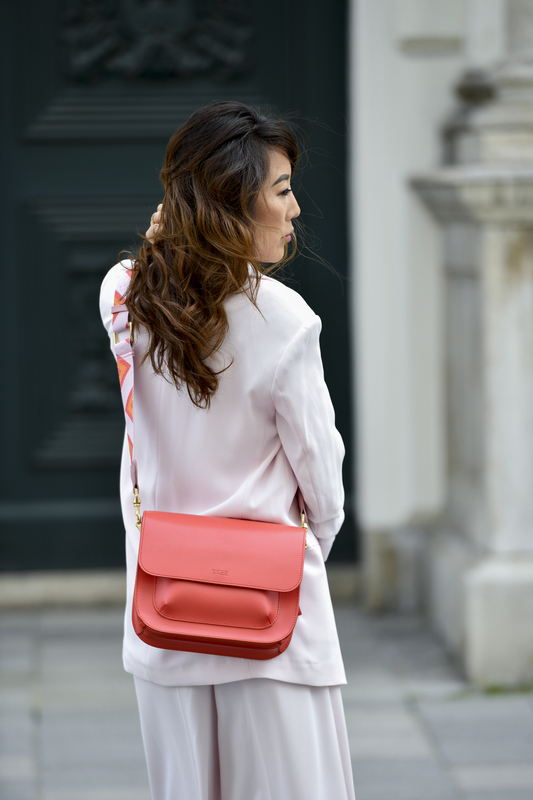 The BREE Cambridge bag goes so well with the suit in blush and adds a chic casualness to the look. The wide bag strap is adjustable and very comfortable to wear. 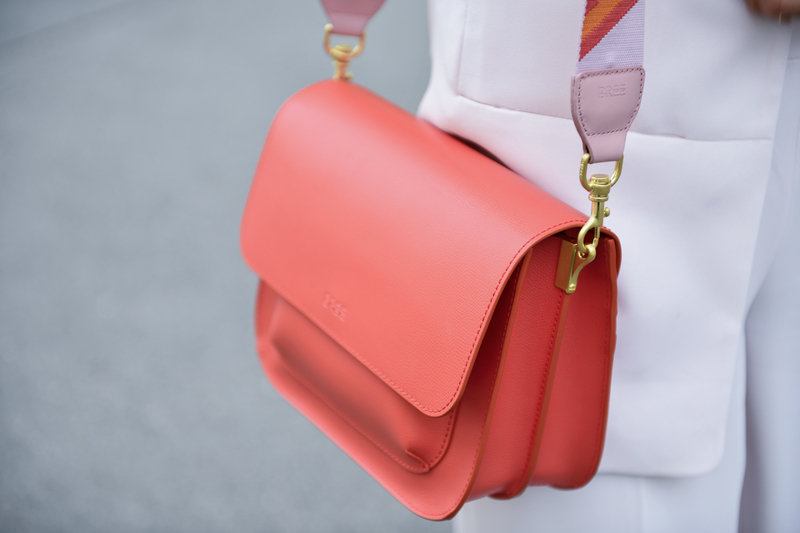 The BREE Cambridge bag is the perfect bag to spice up your daily outfit in the prettiest Masai red. Don’t be afraid to wear bold colors! Be bold. Be BREE.